WHAT ITEMS ARE WE BUYING? Please nothing like used clothing, used shoes, nor SM furniture. Please take note not because it is old it is valuable. What makes an item earn its worth will be based on its historical significant, cultural impact, item condition and rarity. Comics, magazines, and book illustrations. .World War 2 guerilla notes. Obsolete passports or government documents and IDs. Movie memorabilia (1970 and earlier years). New Wave, Rock and Roll, Hard Rock, Arena Rock, Metal, Glam Rock, OPM either Long Playing Vinyl and tapes, minus-one tapes, song sheets, song hits and 78 rpm records. Philippine bank currencies demonetized and error collectibles. Philippine President memorabilia, books, signature specimens, and other significant items. IT IS BEST not to leave this page without liking us. You will never know when you will find something you can actually sell to Dekada Collectibles. LIKE and MAKE US an FB AWAY! Historical Filipiniana and Americana memorabilia (buttons, tokens, pins, old documents, old pictures, newspapers from 1948 and older). Spanish and US-occupation era Philippine coinage, silver, gold, other old coins, tokens and medals. 50-60's Vintage even earlier dates jewelry, rosaries, tambourine, brooches and other vintage fashion accessories. It's best items are already hosted on flickr or with facebook. Send us a slide show link to the items you like us to pick. Remember to log out to your picture hosting site so when you will send us a link it's a visitor's view for us. YOU can also drop your items for appraisal, possible sale at our shop Dekada Collectibles 27-B Kamias Rd, Fronting Organge Hotel Diliman, Quezon City, 1102 Metro Manila Tell: 3516009. Open daily from 12nn to 8pm. Angelo Bernardo Jr. Chairman of Dekada Music Store Inc. He owns and manages several eBay accounts such as Dekada Collectibles, Dekada Arts, Dekada Music, Ratratan Valley Fashion and Maria Makiling. He is a collector every since he was a young teen. Angelo was also popular stock market technical analyst in the late 90s. Using his technical skills in anticipating market trends, his passion for history and his MBA academic background from University of the Philippines Diliman; made it easy for Angelo to see collectibles and pop culture as a goldmine online. Combining his Masteral Degree in Business Administration, vast experience in trading Collectibles and Memorabilia since 2000, his expertise and love for numismatic, antiquities and philatelic Angelo pursues professionalizing his business together with his wife Eireen. worthless, but actually a treasure own its owns merits, for certain groups of people they call the COLLECTORS. Angelo managed to build a business empire online. He used e-commerce as his platform to bring Philippine history to the world. along side with his wife. Eireen Diokno-Bernardo started with picking as a support to the her husband's business venture. Side by side, they grow their knowledge in the art and trade of collectible items. minorities, from Luzon, Visaya's and Mindanao. Eireen is a self-thought graphic and visual artist. She hand paint using mediums like oil, acrylic and pastel. Owning to that she became her own art curator for Dekada Arts Philippines, exposing her to numerous art works of prominent emerging, established, and national Filipino visual artists. 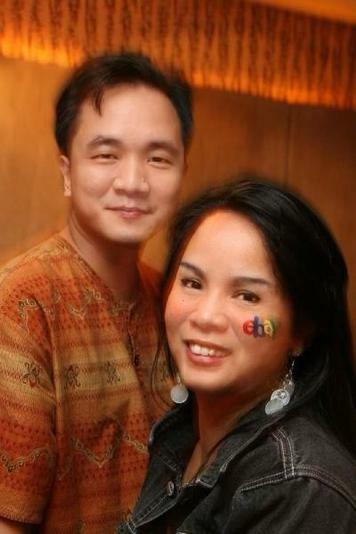 Together both Angelo and Eireen are advocates for ecommerce cross-border trading and logistics experts. They are both educators on finance and start-up businesses. Eireen also organized www.ecommerce102.org which is a hosting, IT solution, website service and payment gateway provider, meant to help support the growth of ecommerce Philippines .